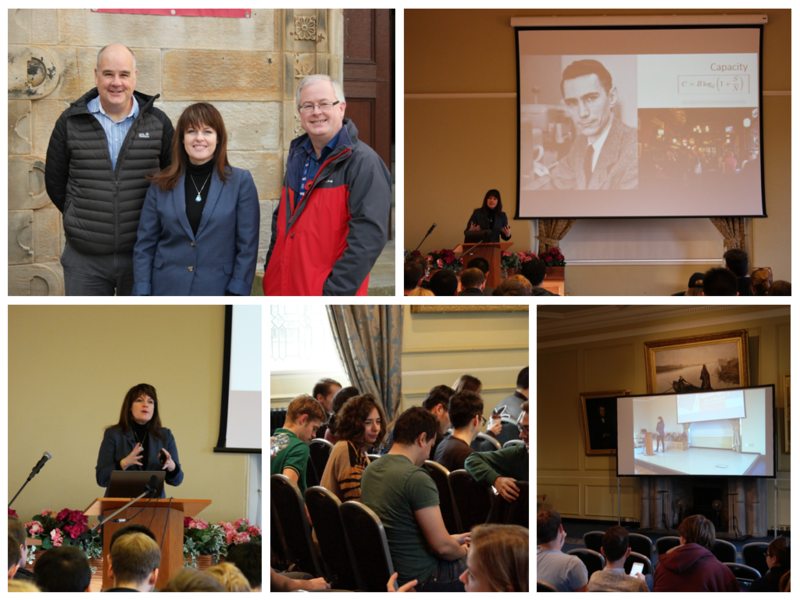 Earlier this month Professor Julie McCann from Imperial College London, delivered the next set of distinguished lectures for 2016, in Lower and Upper College Hall. 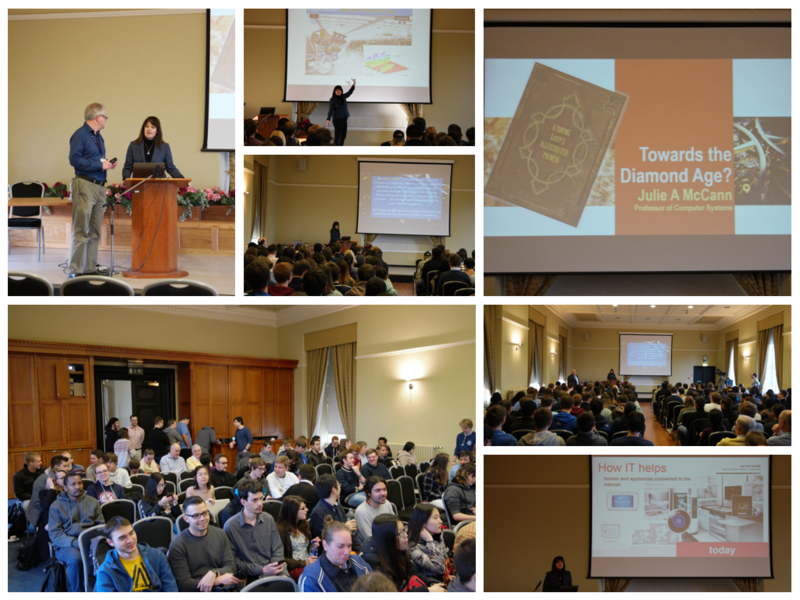 The three topical, well attended and interesting lectures centred around Distributed Systems and Sensing and discussed how sensor networks are being used today, how other sciences will impact the research area, how such systems are programmed and finished by introducing ongoing challenges in terms of scalability, resilience and security. 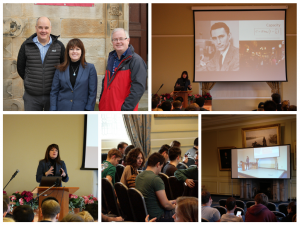 Professor McCann is pictured below at various stages of the distinguished lecture series, and with Director of Research, Professor Simon Dobson and Dean of Science, Professor Alan Dearle.